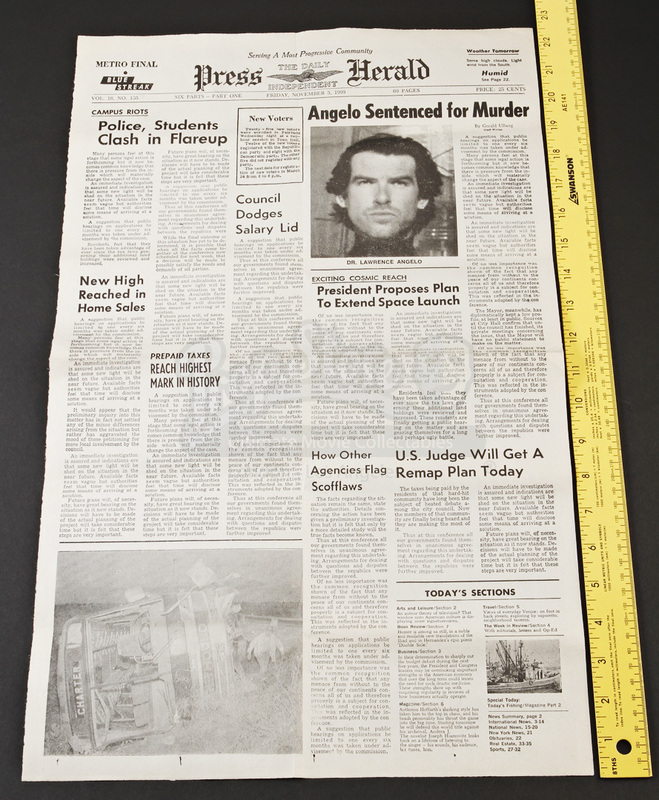 Newspaper Headline - “Angelo Sentenced for Murder"
A production made Daily Independent Press Herald with a story chronicling the murder sentence for Dr. Lawrence Angelo (Pierce Brosnan) from the 1996 sci-fi sequel, Lawnmower Man 2. 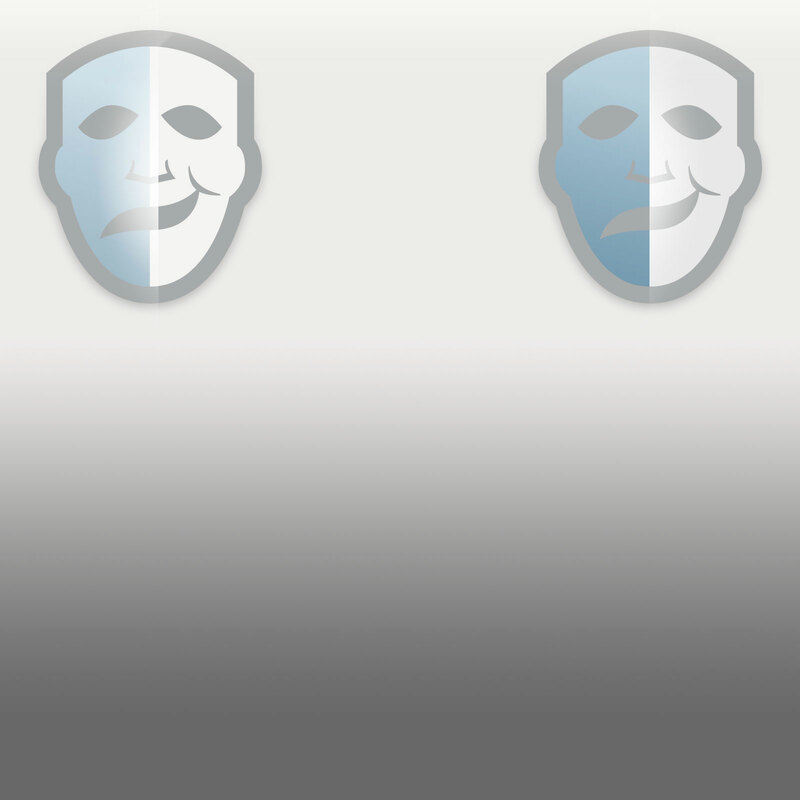 In the film, a group of altruistic computer hackers embark on a dangerous mission to stop power-hungry business mogul Jonathan Walker (Kevin Conway) from taking control of the world through a virtual reality network. 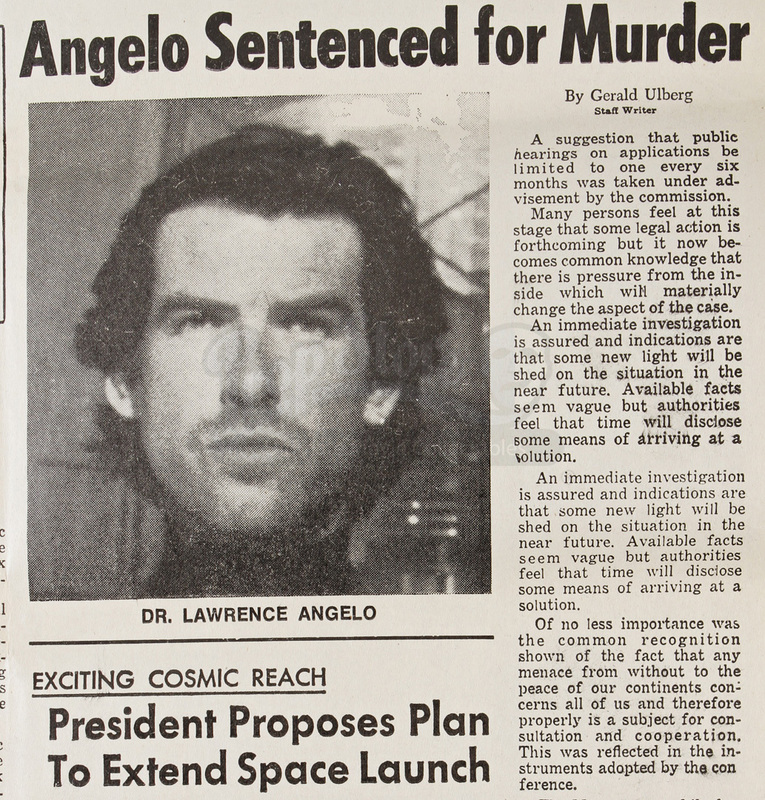 The movie opens with a flashback to the final scenes of the film’s prequel in which a virtual reality laboratory is destroyed by its creator Dr. Angelo. 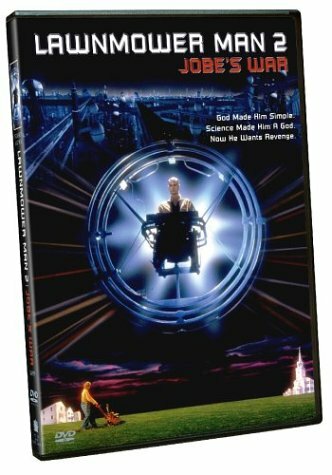 The explosion was thought to have killed Angelo’s experimental guinea pig, Jobe Smith (Jeff Fahey), though he is resuscitated and experimented on once more in the sequel. 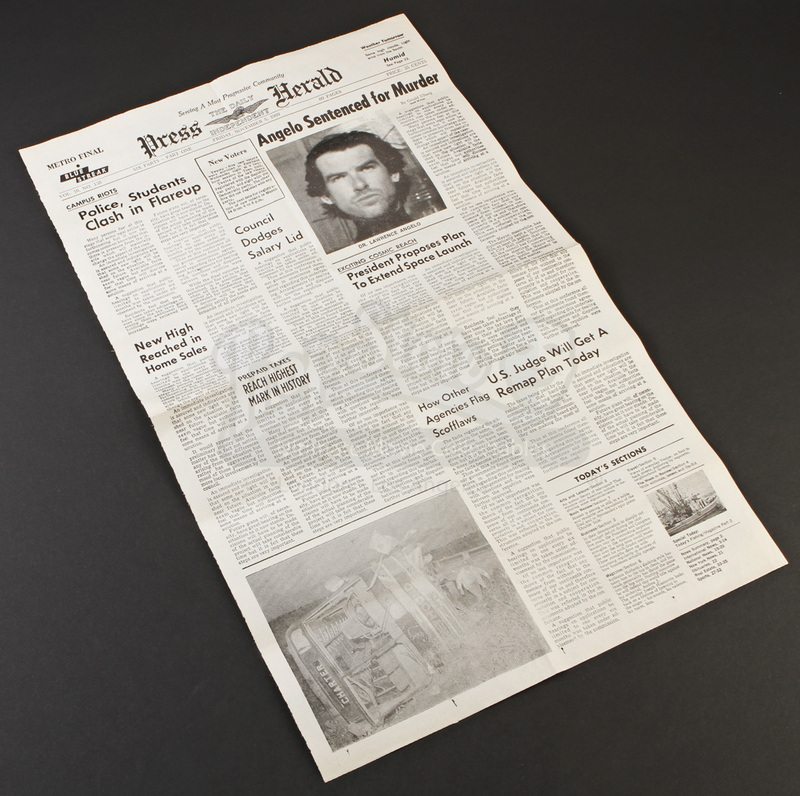 While this newspaper story does not appear in the final cut of the film, it was likely created by the production team for possible use in these opening scenes in order to provide back-story. 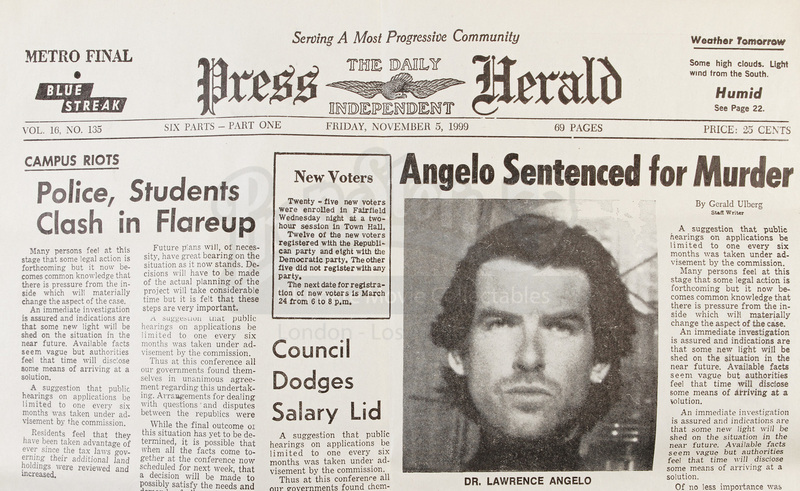 There is a photograph on the right hand side of the page featuring Brosnan’s character from the original film with the headline “Angelo Sentenced for Murder”. 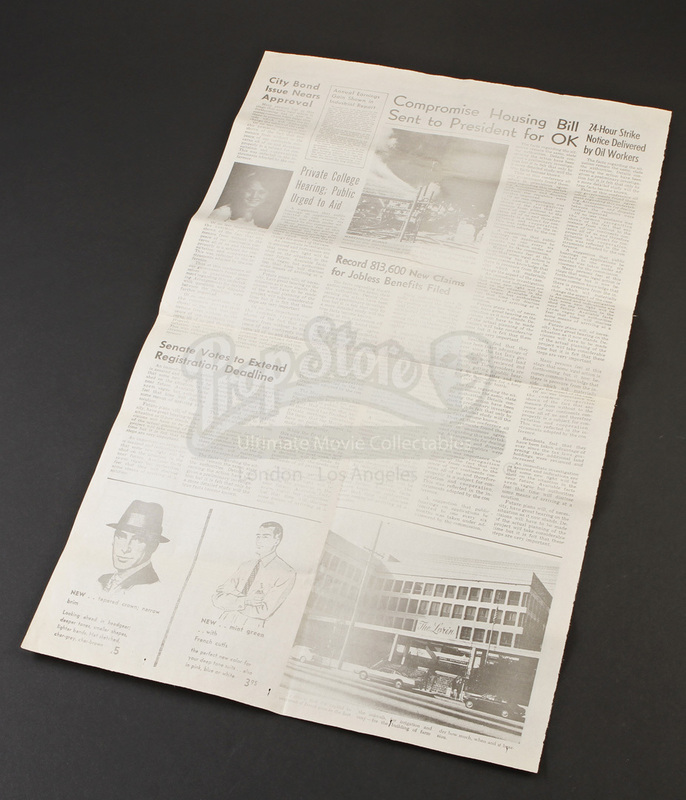 The remainder of the page is filled with various news stories unrelated to the film. 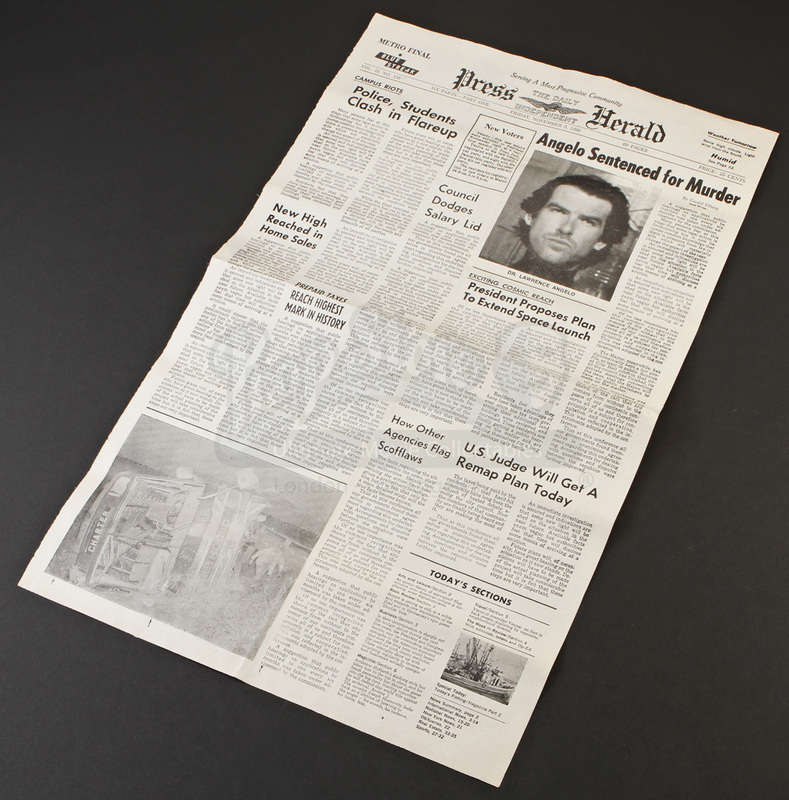 The piece shows some signs of wear and wrinkling from storage and age, but remains in great overall condition.